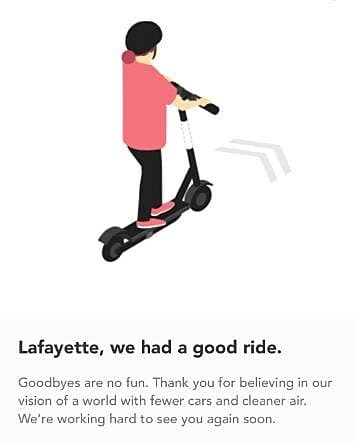 A couple of weeks ago, Lafayette Mayor-President Joel Robideaux asked that motorized scooters be pulled from the streets of Lafayette because the city cannot legally accommodate them. The two companies that offered the scooters, Bird and Lime, worked with Robideaux to take their rides off the streets until laws could be changed. However, for the few days after this news, we were still seeing the scooters around town. That has now officially ended. All Bird and Lime scooters have been pulled from the streets of the Hub City. Lafayette was the first city in the state of Louisiana to have Bird and Lime scooters.